I am not in my happy space. What I often say, my mojo is disturbed. I have suddenly found myself for no rhyme or reason in eye of many storms. And always not my intention to be so. Hence decided to keep low for a while. Pretty much bordering on being idle. Not even reading. In fact doing things I normally never do, chatting up with friends on phone, watching TV. It looks so alarming? No? Tempting me to get onto the high energy ride again. You may like to know I am taking part in A-Z challenge this April. My theme was revealed here . We all need our quiet times, glad you took some time. The important thing on the challenge is to have fun – not pressurize ourselves! You will rock it! Don’t worry the mojo will be back soon..it’s good to take some time off…I know I need it !! And Mojo comes back sooner than it goes…Believe! 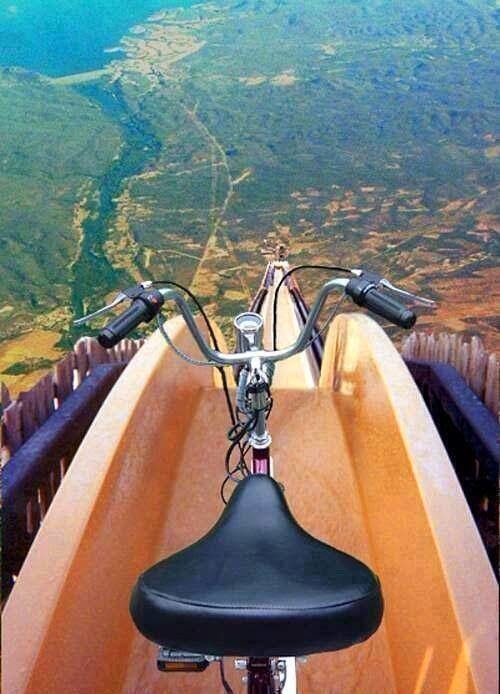 I don’t think i would ever be ready for that ride. Relax and get back all charged up. Looking forward to reading more. We go into these up and down moods, Richa…but we always beat them all! Don’t stress. I am sure you will sail through, Richa. You being you 🙂 Good luck for A to Z! Calm before the storm 🙂 It’s good that you healed your creative energy before the challenge began, rest is good for the mind and heart. Best of luck for the challenge. You rocked this challenge regardless of the state of your mojo. Sometimes a person needs to step away from blogging a bit to get their mojo back. You need to live life too. While my husband is home, I tend to do that. Towards the end of March I posted less and planned my A-Z posts while enjoying my husband and family. Even got my kitchen painted orange! ♥ So glad to see you back.